Teens need to know that shoplifting is a crime and can lead to consequences far worse than being grounded, including juvenile detention centers and even prison. 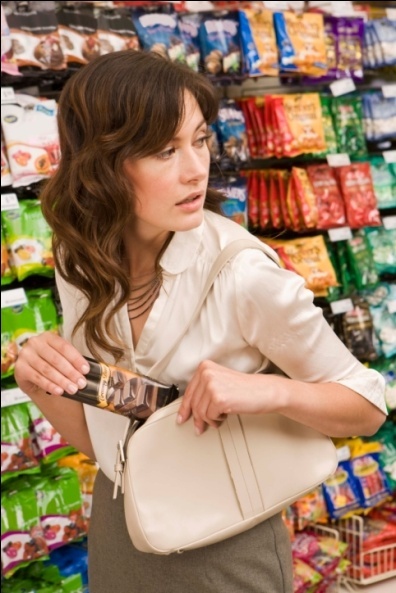 Most teens says they do not plan to shoplift, but due to their impulsive and immaturity in making decisions; teens do not always perceive the risks and consequences of their actions. Peer pressure among teens plays an important role when it comes to shoplifting. 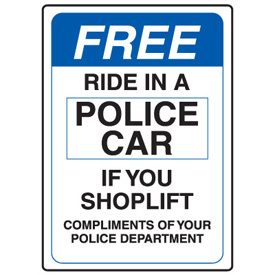 Some teens shoplift because their friends do and they want to be part of the group. Some teens say they shoplift to seem cool or daring. Some teens shoplift because they want things their classmates have but can’t afford them in an effort to keep up with their peers that wear high fashion or have the latest gadget. Others shoplift to see what they can get away with. They may do it as a way to challenge authority or be nonconformist. Or they may get a rush out of doing something risky that has the potential to get them in serious trouble. Another reason they do it as a way to get attention from parents or friends. Some teens cited the reason they shoplift are boredom, stressed, depressed and didn’t have anything better to do especially during school holidays. Feeling ‘high’ from adrenaline rush of getting away with the crime. This overcomes negative feelings like anger, frustration, depression and unhappiness in their life. The need to experience the same feelings will lead to addiction to the shoplifting experience. A third negative effect of shoplifting is what storeowners, managers and the justice system must deal with. On average, for every one item stolen, 20 more of that same item must be sold to pay for it. This affects the store, because they must raise prices, which affects shoppers who frequent that location. These customers may then choose to shop somewhere else, which loses business for that store. When you are out shopping with your children; show them the CCTV, the magnetic tag and security guards. Explain to them the facilities are there to help the shopping centre management to monitor and to be used as evidence if a shoplifter is caught. Stick to the facts. Remind your child of the immediate and definite consequences of shoplifting to others, your teens and their future. Reinforce why stealing (in any form) is wrong and how their life will be better for them when they do not compromise their honesty and integrity. Parents need to carefully explain the penalties of shoplifting with their children. Be a positive role model. Kids are smart and they pick-up on things we may not even think about. For example, if you are undercharged for something and you are aware of it, go back to the store and let them know. If the cashier forgets to ring up an item and you notice it, point it out. Use these situations to be a role model for your child. Be a loving parent. Be open and understanding so your child will come to you with difficult issues or mistakes made without feeling their parents will be unfairly judgmental or punitive. Help give children the self-confidence to resist peer pressure when temptation or opportunity arises. Know your child’s friends. By staying involved with your kids and their activities, knowing where they are going, what they are doing, who they are with and when they will be home goes a long way toward keeping your kids from becoming involved in shoplifting. Parents need to be aware of their teen and notice any new items of clothing and/or devices they have. Don’t be afraid to ask your teen where they obtained their new treasures. Encourage your child to be involved. Encourage your teens to participate in sports or other group activities which introduces them to a better group of kids and keeps them busy vs. bored. Remain calm at the scene of the crime. Confronting your child will only add to the humiliation and embarrassment he/ she is probably feeling. Allow a cooling off period. Take time, to let everyone cool off before discussing the incident and laying out the consequences of his actions. Be firm, but caring. Decide on the consequences beforehand. 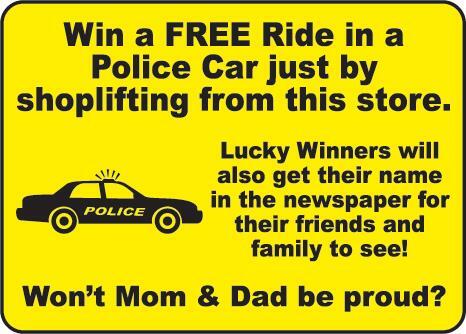 Think about how you’d handle things if your child was caught shoplifting. Follow through. Important life lessons will be lost if you don’t follow through on your disciplinary actions. Keep your word. Now that he has committed this offense, the rules may have to change. You trusted him with a privilege and he did not live up to that trust so now things have to change, even if only temporarily. Give him an opportunity to regain your trust – engage him in establishing the new rules and empower him to make changes for himself. Make sure your children know the laws on shoplifting. It’s important to help kids and teens understand why stealing is wrong and that they may face serious consequences if they continue to steal.